Established in 2008, Festival Amadeus centers on the music of Mozart and other classical-era composers. 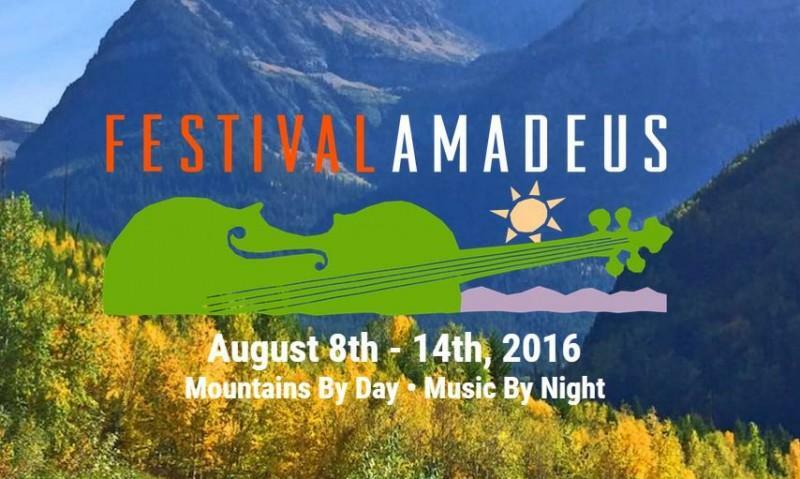 The Festival Amadeus Orchestra is a classical chamber orchestra comprised of select musicians from the Glacier Symphony with invited musicians from Montana and the Northwest region. John Zoltek, Music Director and Conductor of Festival Amadeus, has planned another lively week of music, with six chamber concerts and four orchestra concerts. Soloists for 2016 include the duo of Maksim Shtrykov, clarinet and Misuzu Tanaka, piano; The Fry Street Quartet; Sooyun Kim, flute; Mary Elizabeth Bowden, trumpet; Stephen Beus, piano. Whitefish concerts will be held at Whitefish Performing Arts Center, 600 Second St, Whitefish. 2-3 pm Open Rehearsal: Mary Elizabeth Bowden, trumpet and Stephen Beus, piano, onstage at WFPAC. 3-4 pm Camp Festival Amadeus Students Honor Recital of soloists and ensembles, in WFPAC lobby. 11 am - noon Open Rehearsal: Fry Street Quartet and Sooyun Kim, flute, onstage at WFPAC. 3-4 pm Camp FA “Musical Journey” with the Shtrykov/Tanaka Duo in WFPAC lobby. Time TBA Camp FA Kids will perform during intermission at Whitefish Farmers Market, downtown Whitefish. 3-4 pm “Musical Journey” with Stephen Beus and Mary Elizabeth Bowden in WFPAC lobby. 12 - 2:45 pm Camp FA Student Orchestra and Ensemble Rehearsal onstage WFPAC. 3-4 pm Camp FA “Musical Journey” with Sooyun Kim in WFPAC lobby. 12 - 1:30 pm Camp FA Student Concert onstage at WFPAC featuring the full orchestra and ensembles. Note: The entire Camp Festival Amadeus welcomes the public to observe classes during the week at any time.